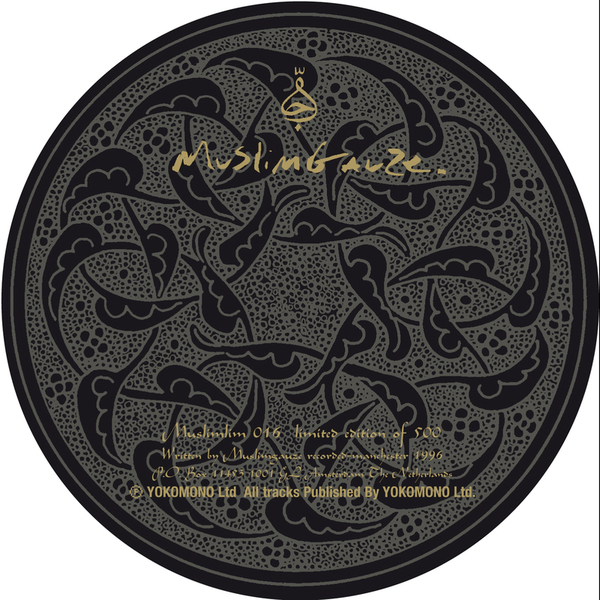 "Already recorded in 1996, this is a rather odd ball for Muslimgauze. One epic piece (33:15 minutes) of lo-fi droning sound (kinda like Azzazin), and with an added rhythm. Just one long flowing piece, without the harsh textures of the Arabic beats."